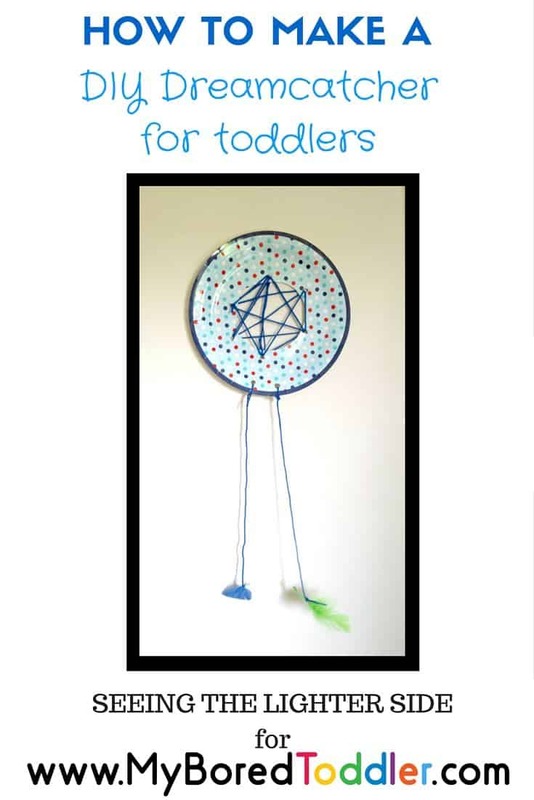 This DIY dreamcatcher not only makes an easy, fun craft activity for toddlers, it’s also really helpful for chasing away the nightmares at bedtime. My eldest son, aged 5, suffers from night terrors and I was desperate to find something which would convince his poor, tired mind to leave him alone to rest peacefully. I hit on the idea of getting a dreamcatcher to hang in his bedroom to fend off the bad dreams. Ready-made dreamcatchers for sale were a bit beyond our budget so I decided to make one myself. 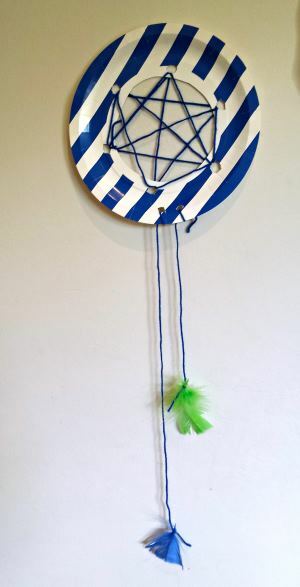 However, most DIY dreamcatcher projects are also beyond my crafting abilities! Added to that, Mr 3 wanted to ‘help’ which meant it had to be toddler-friendly as well. So instead, I made it up as I went along. Dreamcatchers were created by the Native American people to hang over the sleeping places of small children and catch the dreams which floated through the air at night. The ‘bad’ dreams would stay caught in the web at the top of the dreamcatcher, while the ‘good’ dreams would find their way down the feathers and into the head of the dreamer. Here’s how to make the nightmares go away and stay away. 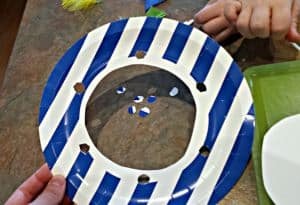 1 paper plate – any pattern you like, or simply decorate a plain one! Cut a decent-sized hole in the middle of the plate using your box cutter. Then cut 6 smaller holes around the edge of the big hole – make sure they’re big enough to fit the tip of the cotton bud through easily. Finally, cut two small holes at one end of the plate. This is where the wool will go to hang your feathers. Step 3: Weave your web! Cut a piece of wool around 60cm long. Tie one end to one of the smaller holes at the edge of the large circle. Tie the other end around the end of the cotton wool bud. The cotton wool bud is your new toddler-friendly sewing needle! 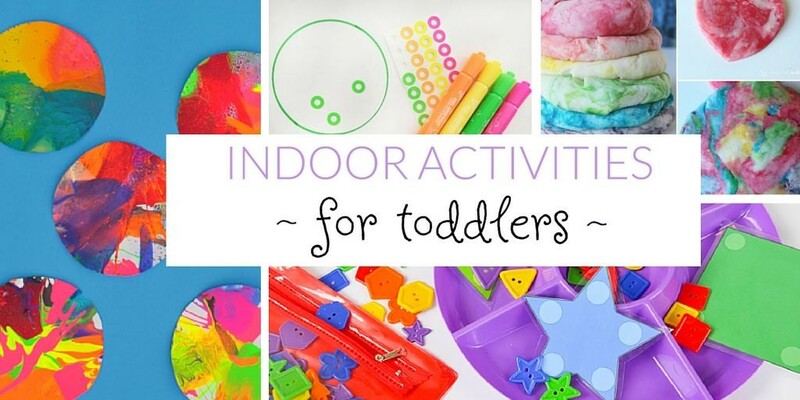 Now take a deep breath and hand over the reins to your toddler. Feel free to guide them a little to weave their web so they don’t end up with a totally tangled mess. Once you either run out of wool or feel it looks as thick as you like, cut the cotton wool bud off and tie off the loose end of the web into one of the small holes. Feel free to jazz it up a little by threading beads as you go, or using two different colours of wool. The possibilities are up to you! 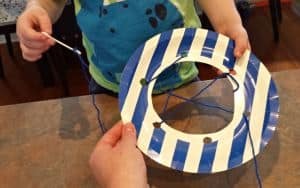 So the good dreams can find their way into your little one’s sleepy head, attach two lengths of wool to the bottom of the paper plate – using the two holes you cut at the start. It can look more attractive if you use two different lengths, though my Mr 5 prefers symmetry, so equal length is fine too! 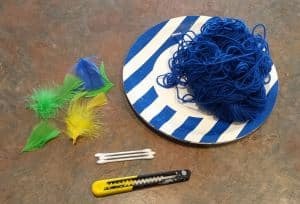 Again, jazz it up as much as you like – either pop some beads on and then simply tie the feathers to the end of the wool, or just use the feathers. The feathers and wool are the important parts here. Step 5: Hang your DIY dreamcatcher above the bed! I’m not particularly spiritual but I do believe in the strong powers of suggestion. These dreamcatchers did actually stop Mr 5’s night terrors from the very first night we put them up. So it’s worth a shot! 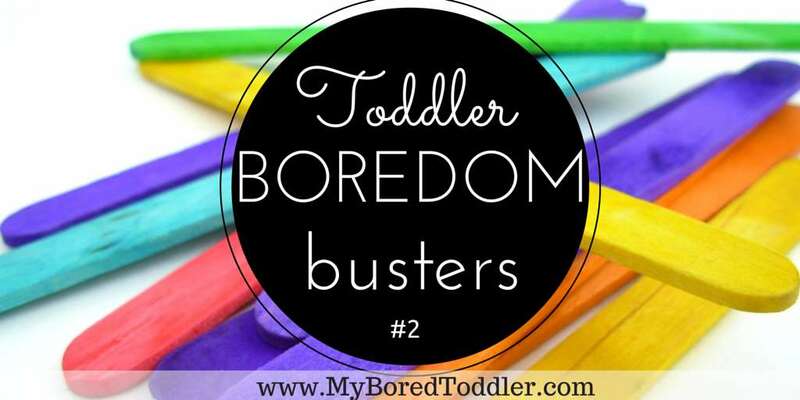 Both as a great craft activity and a way to chase away those bad dreams. Rebecca Bower runs the wonderful website Seeing the Lighter Side. You can find her on Facebook, Pinterest, Twitter and Instagram. Thanks for having me! I think the best part of this was discovering a ‘needle’ that my toddler could use without skewering himself! What an awesome idea! I love dreamcatchers and I will for sure make this one with my toddler in a few months when she understands the meaning of it.